Huawei Mate 20 Pro has been hailed as its best flagship smartphone in recent times. Huawei has finally unveiled the Mate 20 Pro smartphone in India. The feature-packed flagship smartphone from Huawei remains one of its best till date. Huawei Mate 20 Pro has been priced Rs 69,990 and would be available on Amazon India. As part of their launch offer Huawei is giving Sennheiser headset worth Rs. 29,990 for just Rs. 2000 extra! The next-gen flagship packs in some of the coming of age features. Starting with the three-camera rear setup to an in-display fingerprint to the first 7nm Android chipset, the smartphone is at par (or above) with top flagships like Samsung Galaxy Note 9 or Apple iPhone XS Max. Here are the some of the top revolutionary features which make Huawei’s Mate 20 Pro worth the price. Huawei is the first company in the world to use a 7nm chipset in an Android smartphone. The new Mate 20 Pro hardware offers up to 20 percent higher speed, 45 percent graphic boost and 40 percent better efficiency. The new Kirin 980 packs in a ton of AI features. The hardware setup comes with two neural engines to boost up the AI performance and handle tasks better. The camera has new AI capabilities including real-time video processing and object recognition. The Mate 20 Pro comes with a 6.39-inch Quad HD+ OLED display. The display on the Mate 20 Pro has one of the finest colours and it’s absolutely breathtaking. The notched display offers rounded corners packing a sharp screen resolution of 3120 x 1440 pixels. Huawei Mate 20 Pro comes in an all-glass design. The company launched a new ridged finish and call it a Hyper Optical Pattern. The handset has an all glass design, but the rear part is less prone to fingerprints and is more easy to grip. Waterproofing is a standard flagship feature now. But Huawei is done a pretty good job with Mate 20 Pro ensuring the new design is IP68 certified for dust- and water resistance with a wide number of colors to choose from. 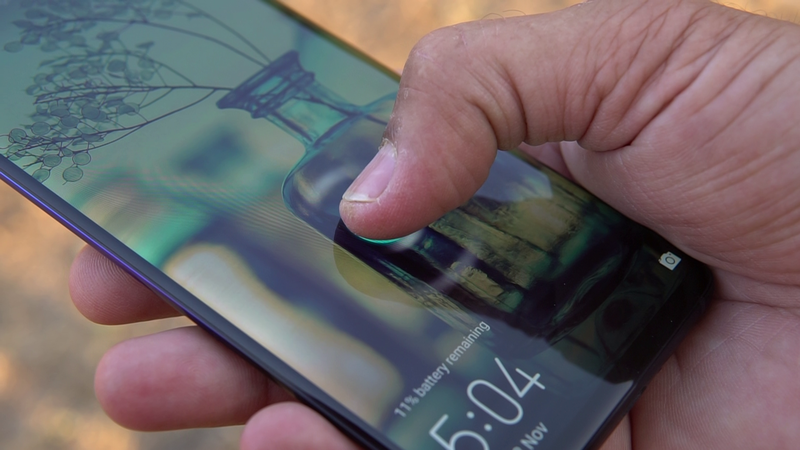 Huawei Mate 20 Pro offers you both 3D Face Unlock and in-display fingerprint security features. The 3D Face Unlock feature is backed by a dot projector, a TOF proximity sensor, a flood illuminator and an IR camera while the in-display fingerprint reader is one of the fastest. The Huawei Mate 20 Pro tops the DxOMark list with 116 overall points, the highest for any smartphone. 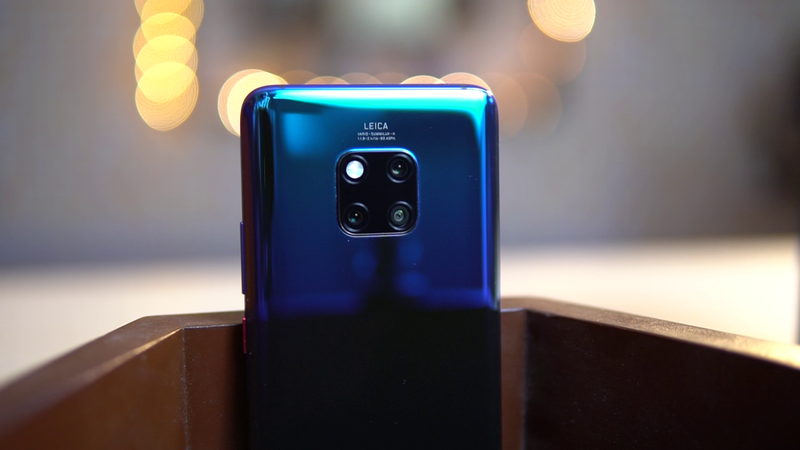 Mate 20 Pro has three different focal length cameras comprising of a 20 megapixel super wide lens, 40 megapixel wide-angle lens and a 8 megapixel telephoto lens. The smartphone comes with adaptive long-exposure Night Mode. The Huawei Mate 20 Pro host a ton of aperture-shifting options offering you a wide array of options to experiment with your professional photography. While companies are still trying to put in wireless charging in their smartphones, Huawei has already done it, that too ultra-fast. 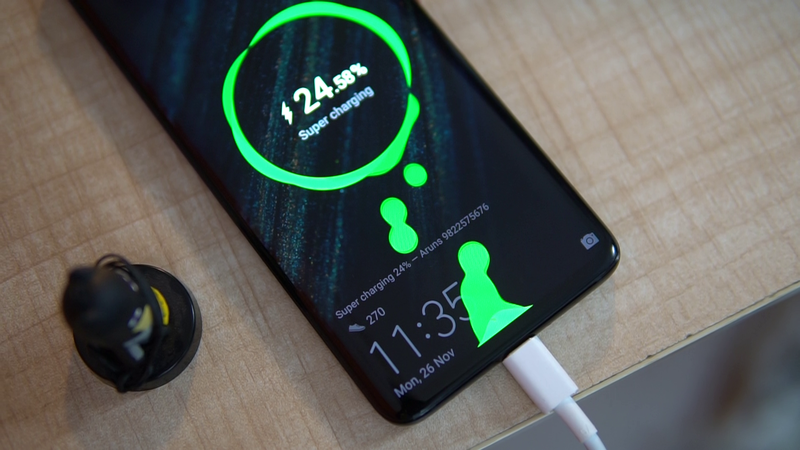 The 4,200mAh battery supports fast wireless charging, almost twice as fast as iPhone XS Max. Huawei has a revolutionary future technology that allows reverse wireless charging. You can charge the smartphone wirelessly gadgets by placing them on any side you want to. "Huawei Mate 20 Pro Launched: Top 10 Revolutionary Features (Plus Big Launch Offer)", 5 out of 5 based on 5 ratings. Jio’s Surprise Gift: 8 GB Extra To Every User; Is Jio Losing Out To Airtel, Vodafone In Metros?